There’s plenty of “Buzz” about “Falling With Style”, the recent release from Walt Disney Animation Art. 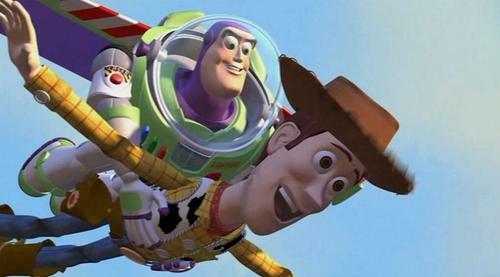 Direct from Toy Story (1995), “Falling With Style” captures Woody and his pal Buzz in their final descent as they re-unite with young Andy. A special recreation of a storyboard sketch in the lower left corner gives an insight into the origin of this particular moment in the film.